1. You will work with a partner this week. I will let you choose as long as you choose wisely. You will need a robot and kit. 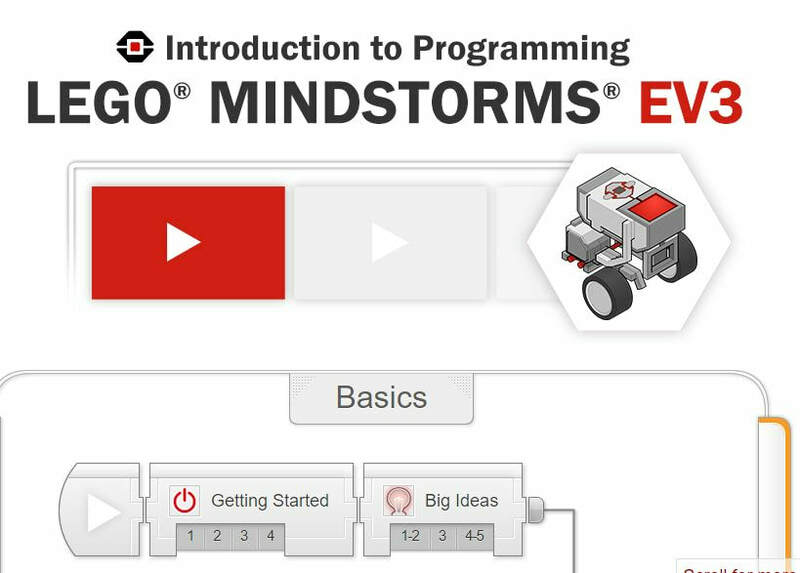 You will also need to have 1 computer logged in and the Lego Mindstorms program open. 2. Add you sensor so it is low enough to detect the black wall on the table. We will continue in a few minutes. 3. Create the programs that are on the worksheets and test them out. Answer the questions as you go. The last part has you write a program to complete the task. Show the teacher when you get it correct. 4. If you finished early, go find some tutorials online about the touch sensor. Learn something new to teach the rest of us. Here are some other lessons to practice. 1. Watch the video to learn what the Ultra Sonic Sensor does. 2. Write this program and then test it. 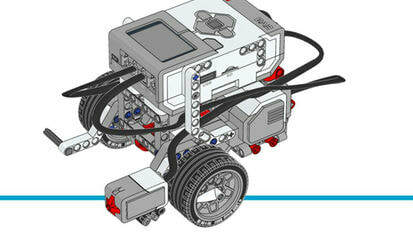 Your robot can multitask, that means do 2 things at once, like beep while it backs up. Can you see where the program shows this? 3. 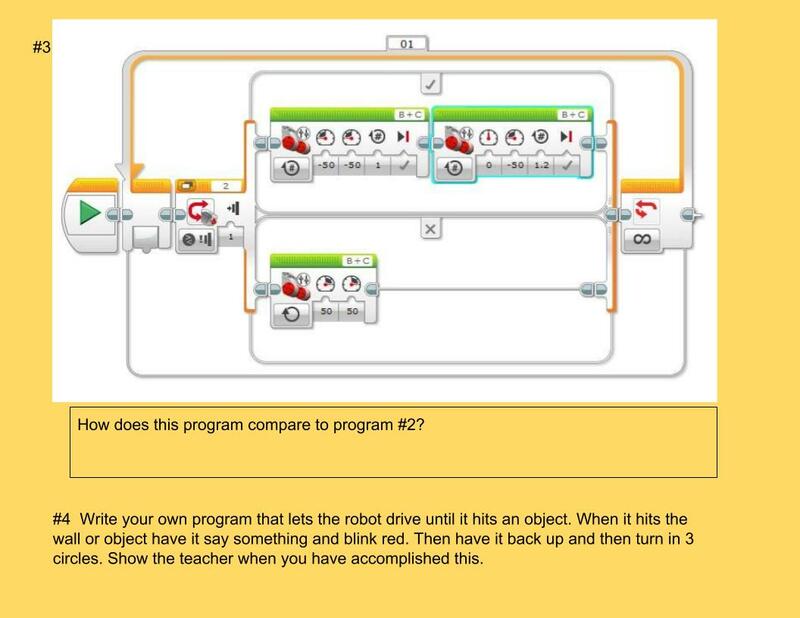 Now create a program that will make your robot stop before it hits a wall, back up and turn, but continue to move. What blocks would you need to do this? 1. Watch this video to get an introduction to using the color sensor. Then write the program and test it on the table. 2. 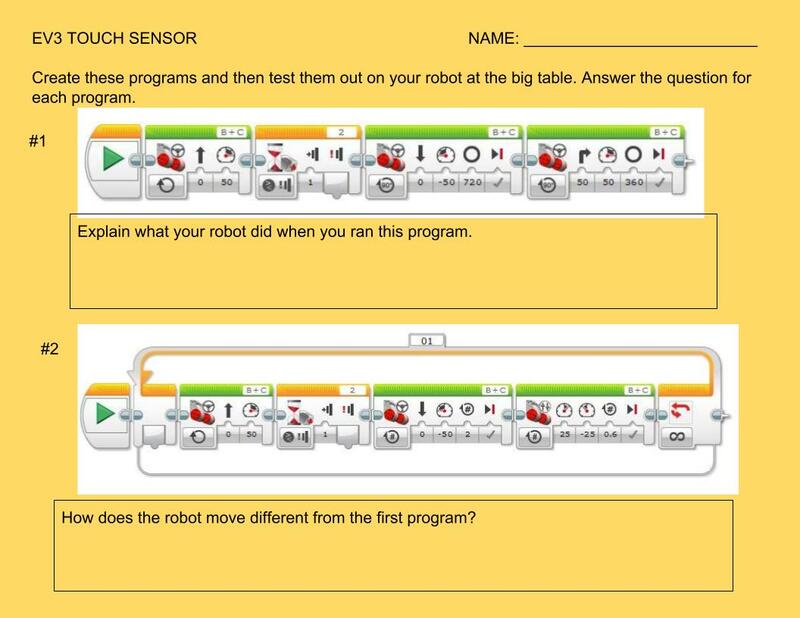 Write a program to have your robot detect all the colors on the table and say them out loud. 5. Computational Thinker Students develop and employ strategies for understanding and solving problems in ways that leverage the power of technological methods to develop and test solutions.